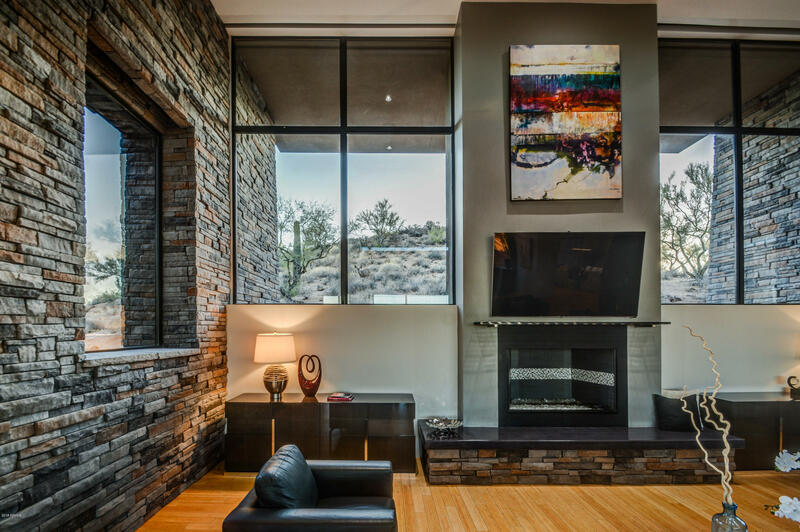 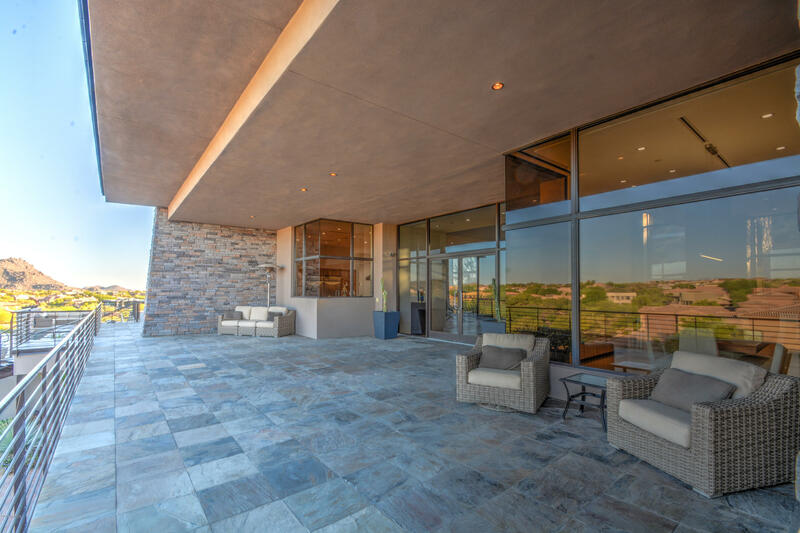 Exquisite Contemporary Built by Sever Design Group Architects in the Troon North Gated Golf Community of Candlewood Estates. 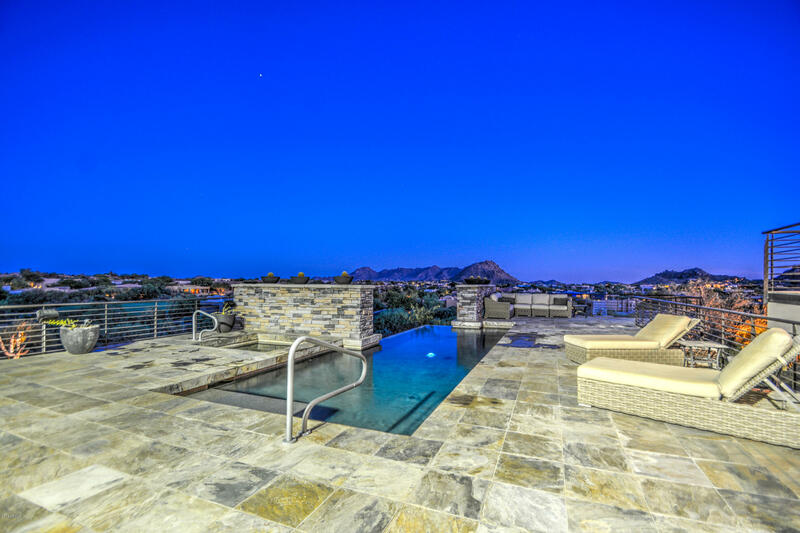 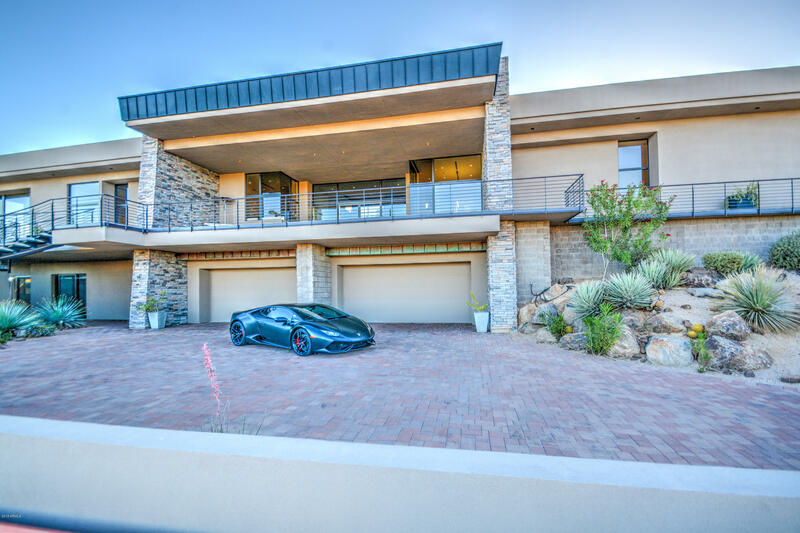 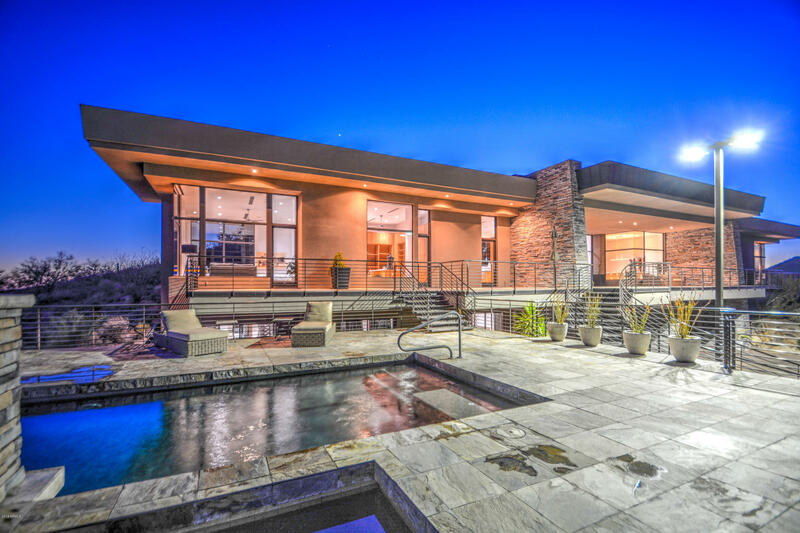 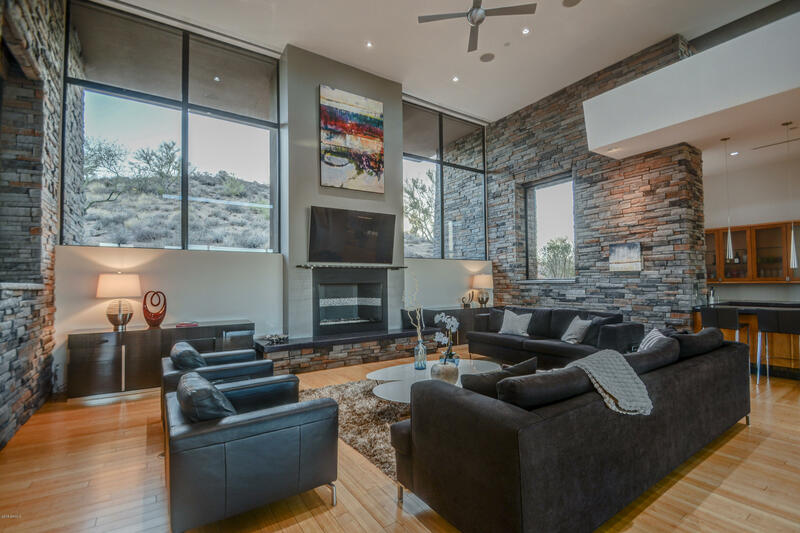 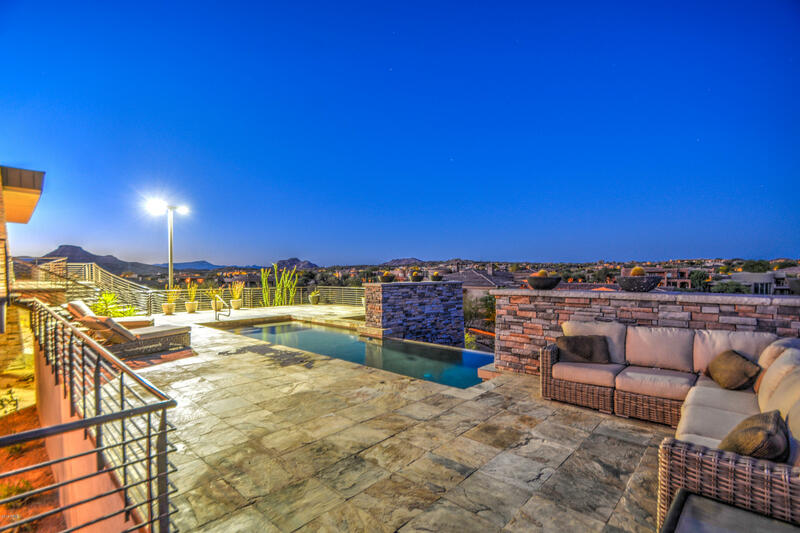 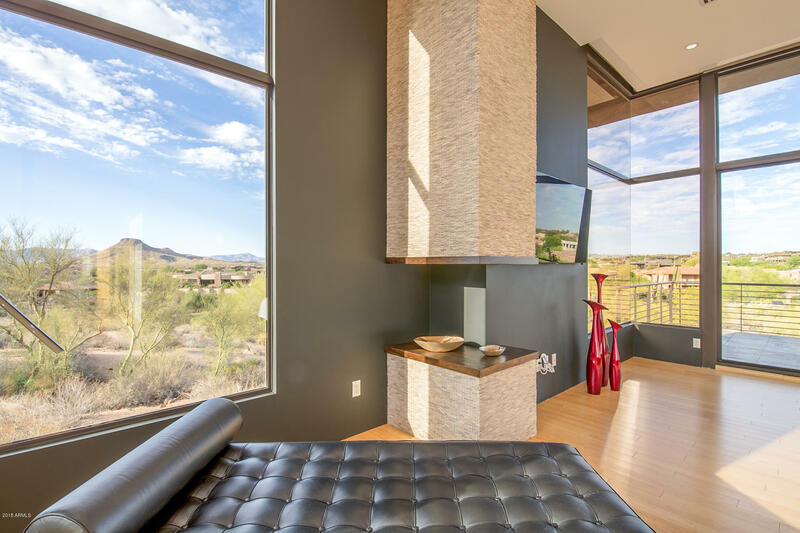 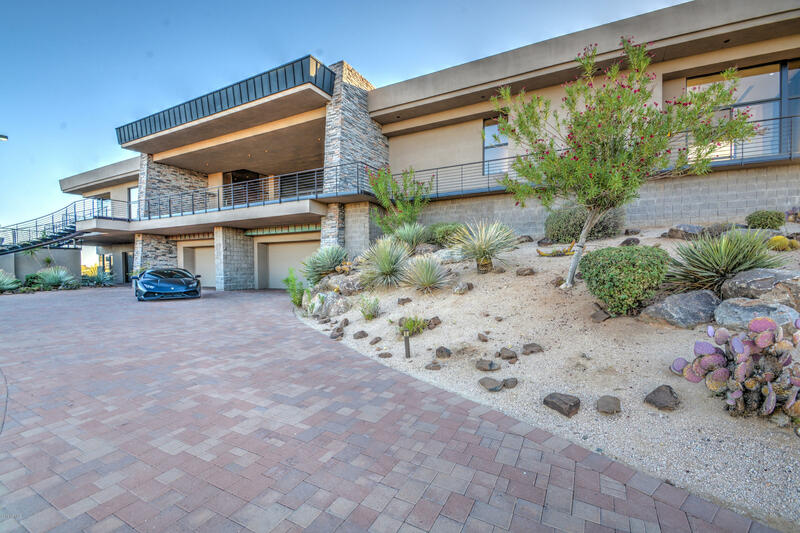 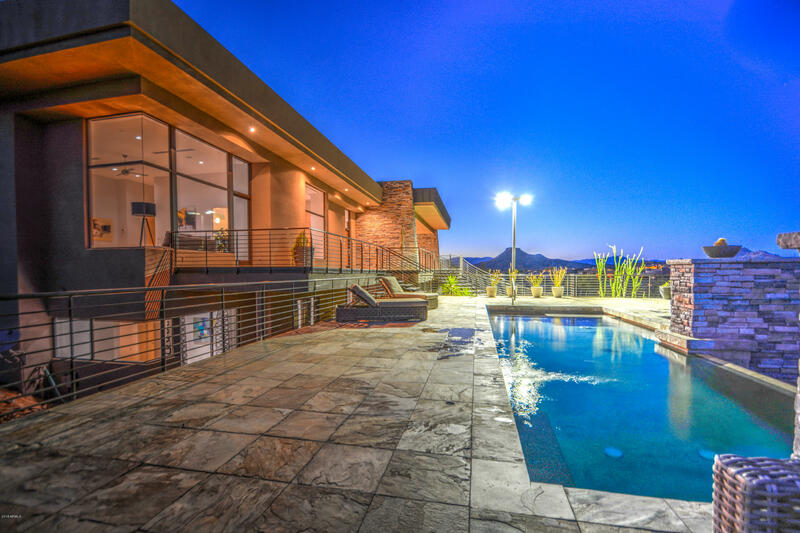 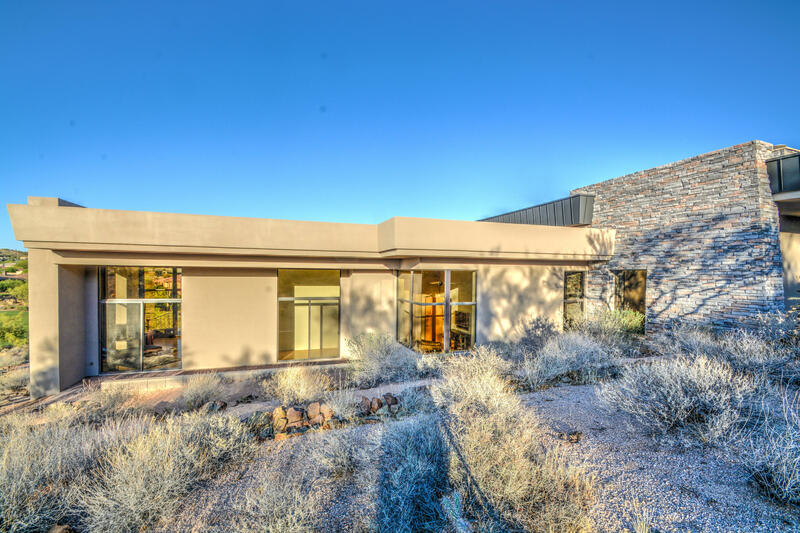 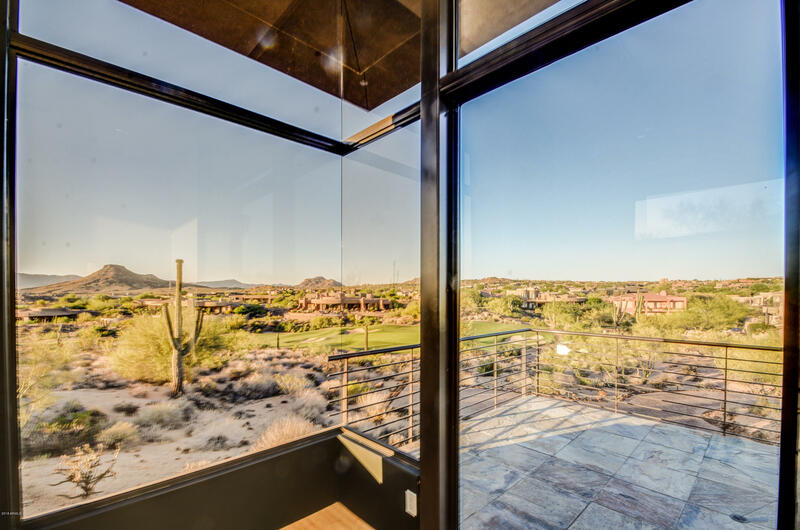 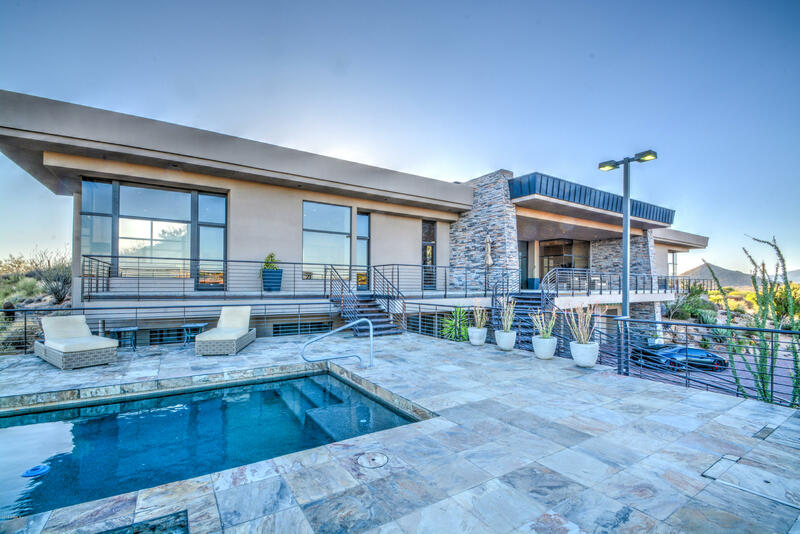 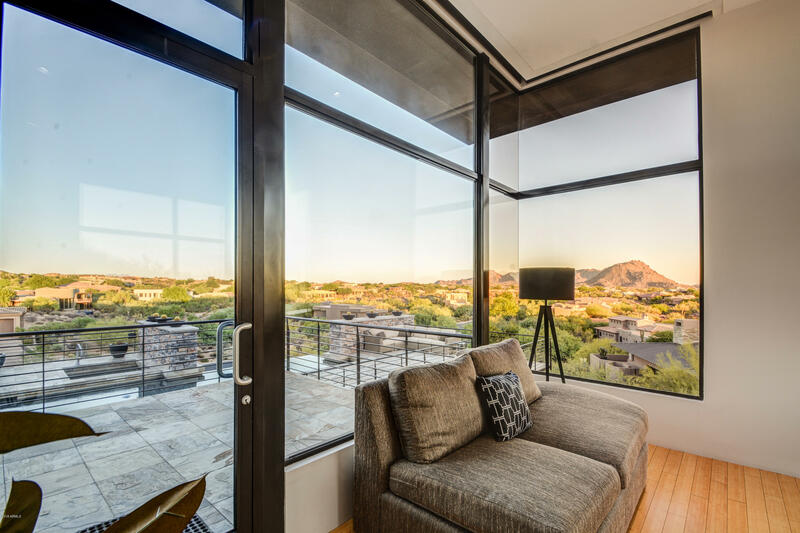 Situated on 1.75 acres on an elevated lot overlooking the 13th green & 14th Fairway of the Pinnacle course w/panoramic views of Pinnacle Peak, Mtns., Nat'l Desert & City Lights. 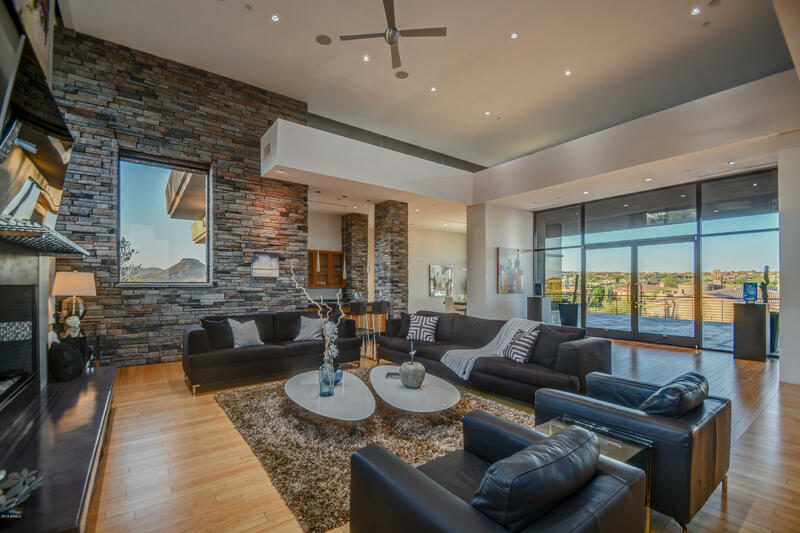 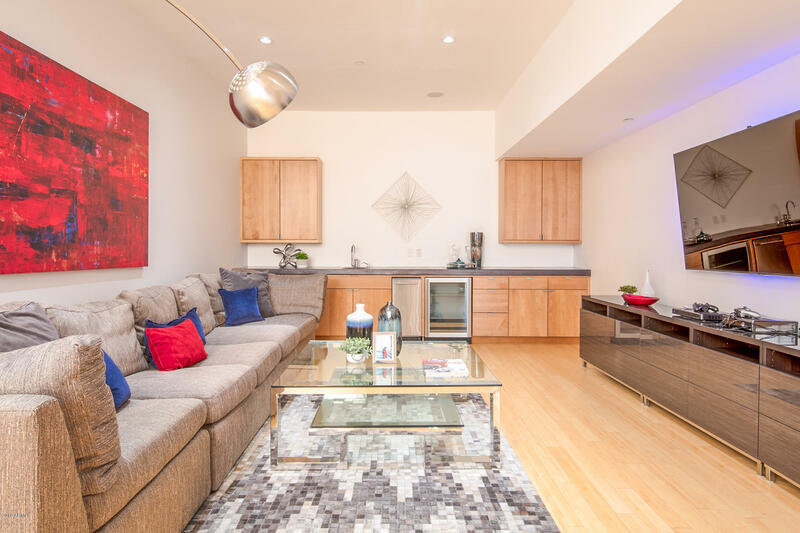 Elegant & casual lifestyle w/exquisite finishes & attention to detail. 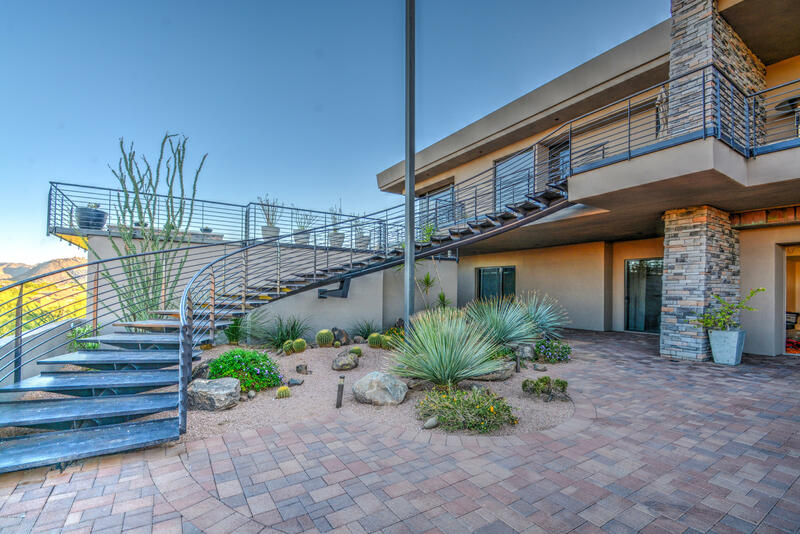 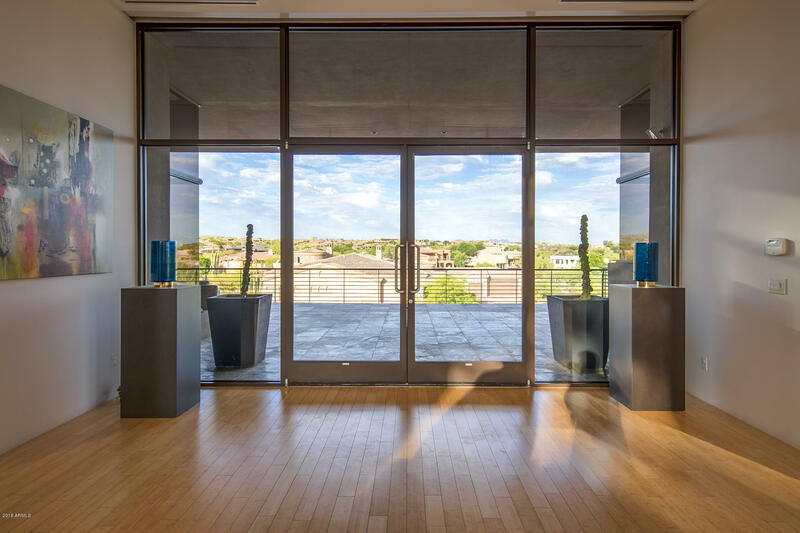 ELEVATOR, Master & Main Living Areas on 1 level, 4 BR, 5 1/2 Baths, office, crafts, fitness, den, & formal dining. 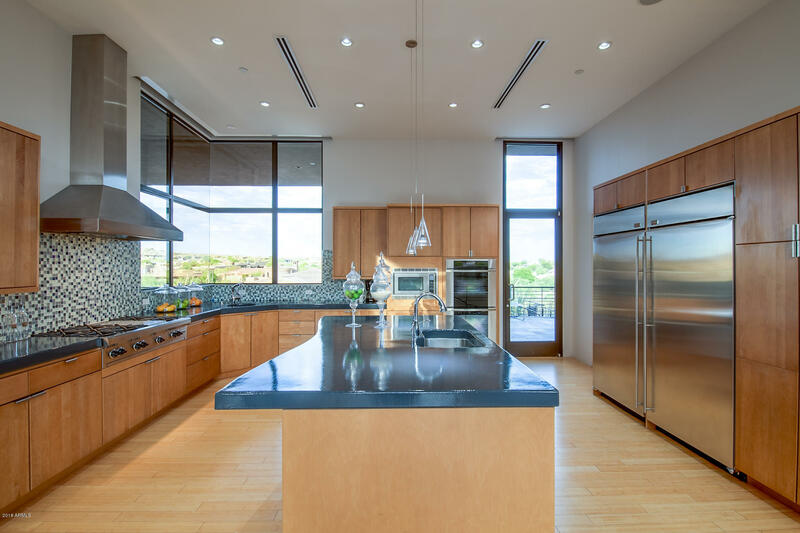 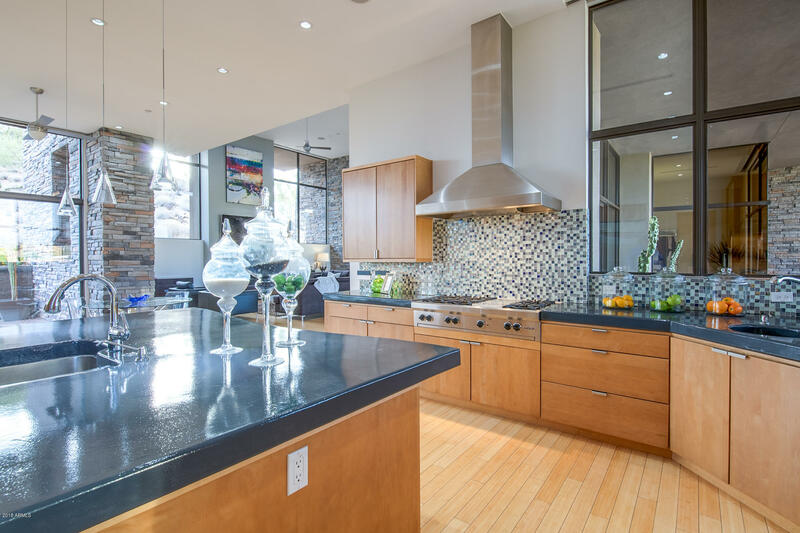 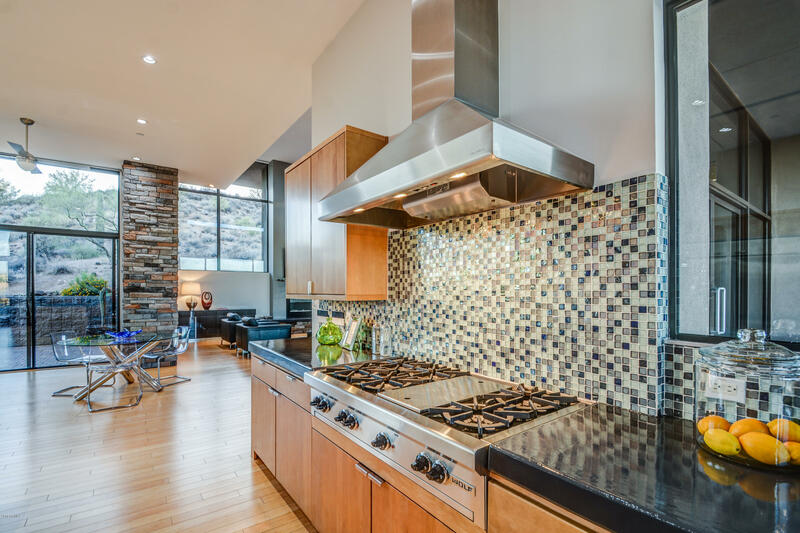 Chefs Kitchen w/top of the line appliances gas cook top, dbl ovens, dbl dishwashers, 36'' side by side. 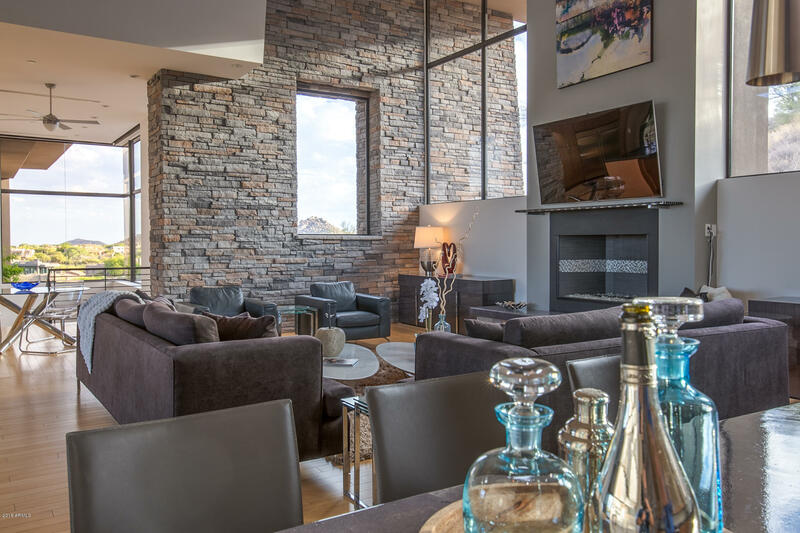 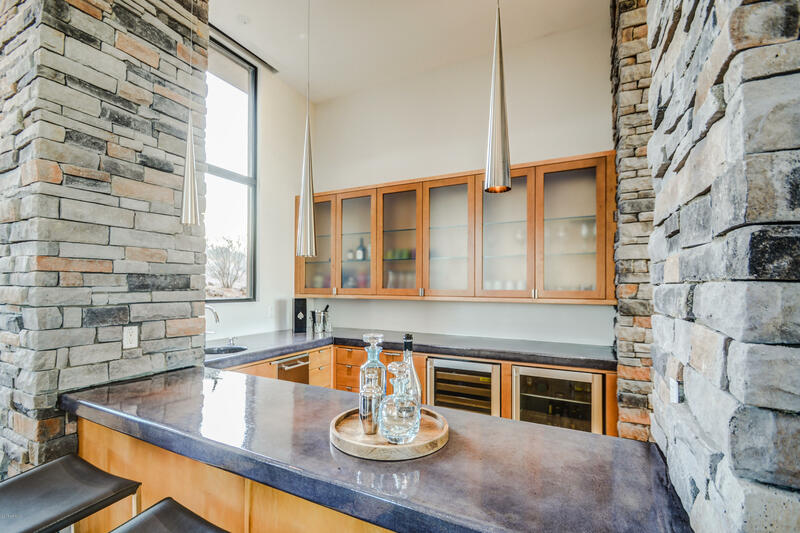 Kitchen open to great room w/stone accents, fireplace, wet bar, & SS. 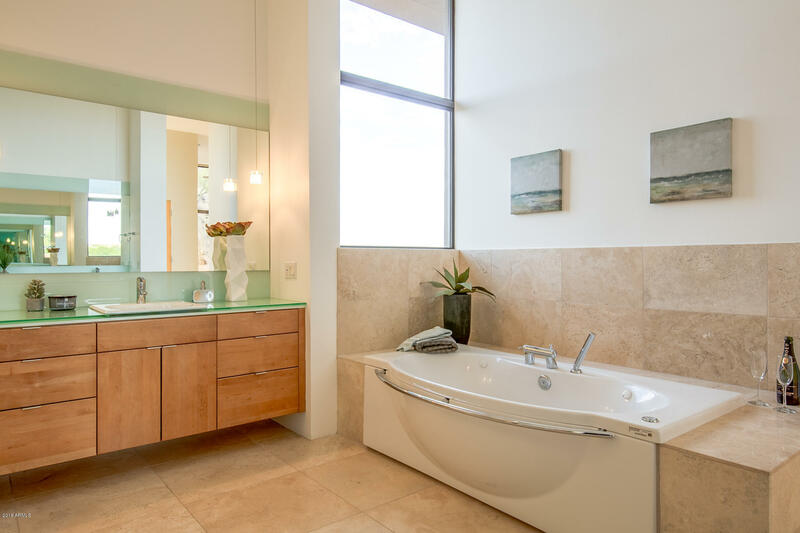 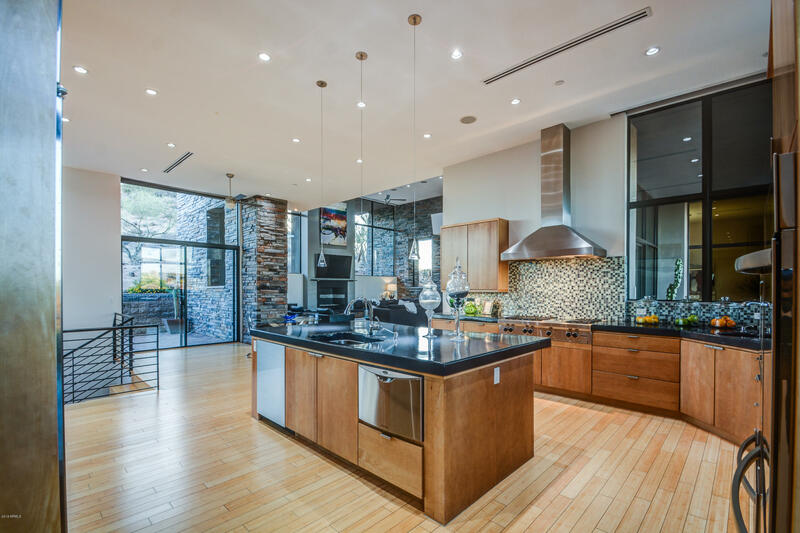 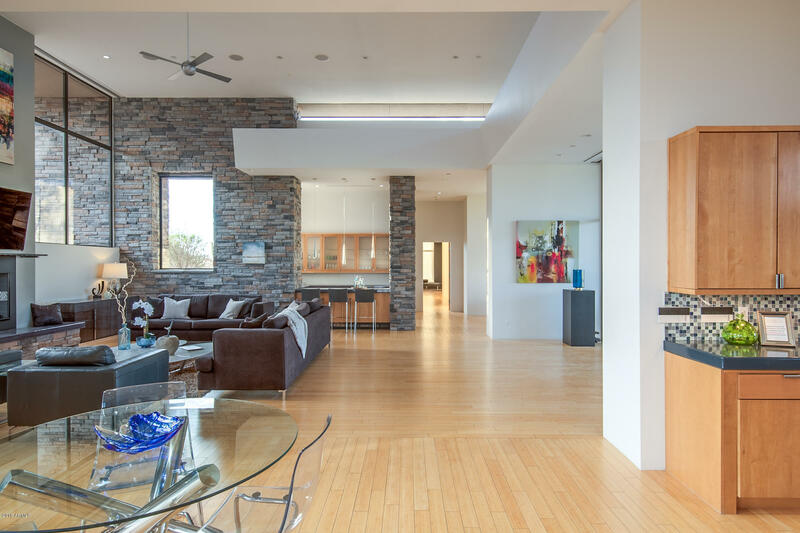 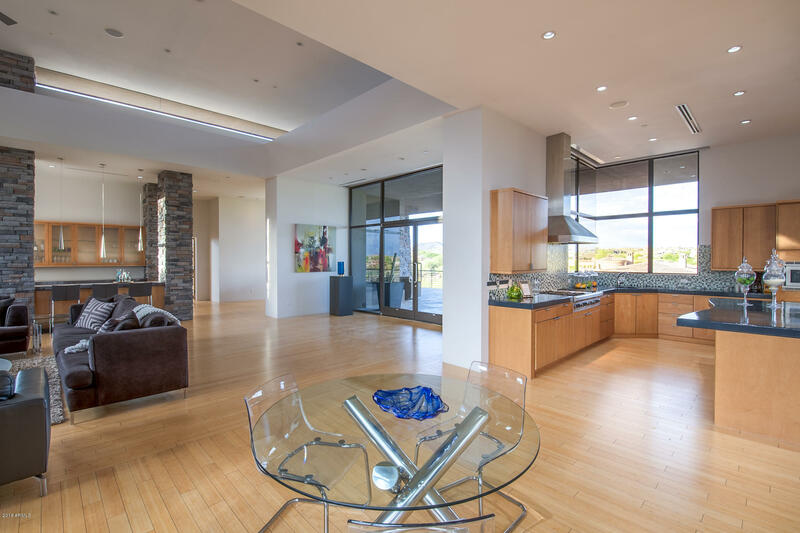 Lutron Lighting, motorized shades, & Bamboo Floors. 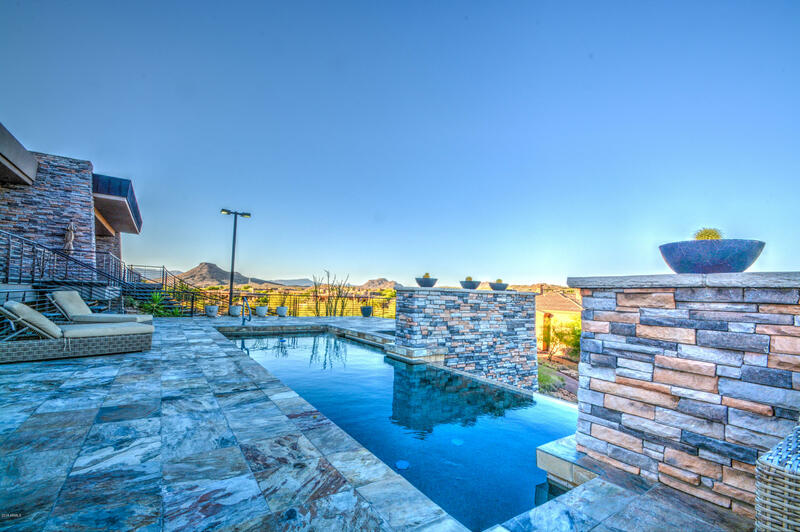 Expansive outdoor living in front & back w/heated pool, spa, wtr. 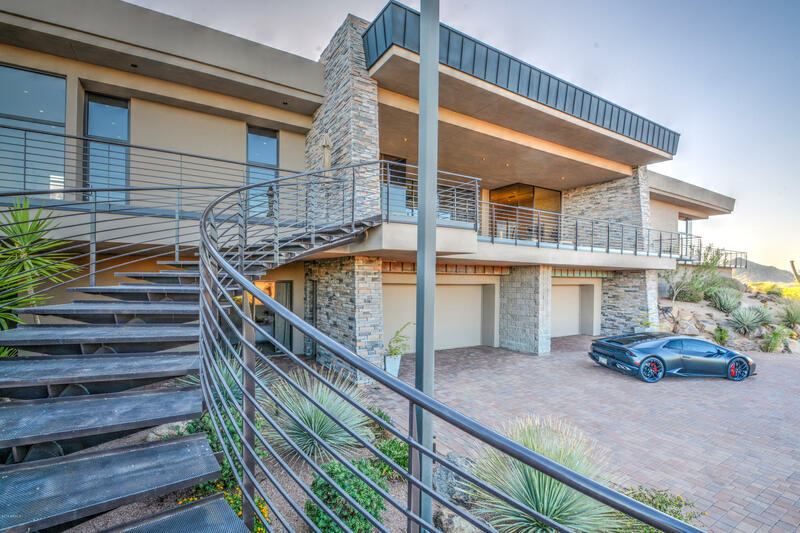 ftr.